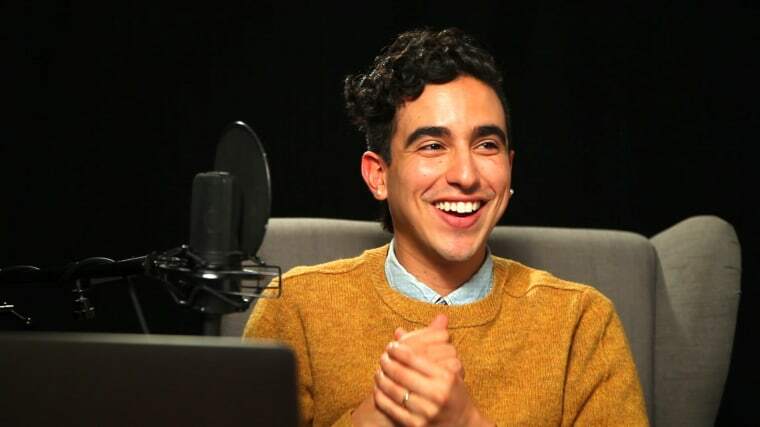 In "Conversations With People Who Hate Me," podcast host and LGBTQ advocate Dylan Marron is trying to turn online hate into productive dialogues. Liberal podcast host and LGBTQ advocate Dylan Marron. These are some of the nastiest online barbs people have aimed at video creator, liberal podcast host and LGBTQ advocate Dylan Marron. Marron had to think about the worst one. “‘I hate your f-cking guts, please die,’ is a pretty bad one,” Marron told NBC News. Some people weren’t necessarily hateful — they were just mean or critical. One commenter called him a “talentless propaganda hack,” and another said his liberal views were dividing America. Marron, 30, is best known for projects like “Sitting in Bathrooms With Trans People” and “Shutting Down Bullsh*t.” At first, the advocate struggled to understand the nasty comments his videos garnered. Did they have meaning or were they just mean? Rather than dismiss his haters, Marron sought to understand them. Marron, who is gay, said he is selective about who he interviews. His guests are people who have sent him angry messages, he said, not those who have used violent or threatening language. “I’m talking to the people I mostly feel safe with,” he said. The podcast is not a platform for hateful ideologies, Marron insisted, just people who disagree. “If we are to understand the ideologies we disagree with, I think it is important that we understand they are coming from humans no matter how fundamentally they may disagree with us and no matter how much those ideologies might disagree with our very existence,” he said. Marron said social media has in some ways made it more difficult for people to have these meaningful conversations where they feel their views are being heard. “I guess what I’ve learned is what can feel like hate on the internet isn’t necessarily hate when we take that conversation and move it offline,” he said, “but I think we’re robbing ourselves of nuance if we only have these conversations online." Marron explained that he isn’t creating a platform for debate — just the opposite. He doesn’t want his guests to argue, he said. He simply wants them to listen. In the end, Marron believes that social media, while divisive, can still be a force for good.